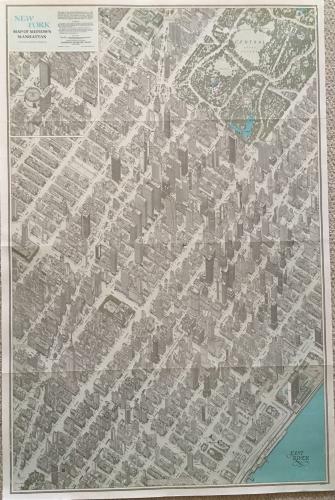 A 1980 Anderson Isometric Map of Midtown Manhattan, the detailed three-dimensional map that depicts every structure, down to its canopies, in mid-Manhattan. In very good condition with only a small repaired tear that does not detract from the image. Would frame well.